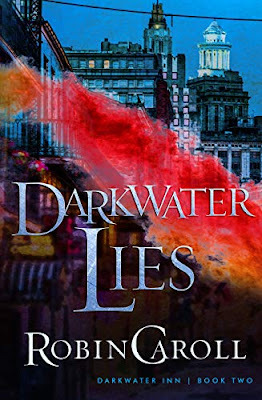 Robin Caroll outdoes her previous book in her Darkwater Inn series with this one. She is in top form here. Adelaide Fountaine, general manager of the Darkwater Inn, has just returned from a six month time away when she is informed that the security of the inn has been hacked, two murders have been committed and a priceless royal tiara has been stolen. What? The princess to whom the tiara belongs is staying at the inn to ride in a parade but how can she without this tiara? And how did all this happen, anyway? Was more stolen than the tiara and cash? As sometimes is the case, things are not exactly what they appear in the Darkwater Inn. Detective Beau Savoie, who has long held a torch for Addy, is called in to investigate, and is having a hard time dealing with the fact that the owner's son, Dimitri, who is a chef at the inn, also cares for Addy. But first, these murders, the hack and the heist must be solved. Caroll ramps it up in this second book in the series, adding more layers every few chapters, till the reader is clueless. I had no idea the culprit. Then, there is more to solve when Addy is kidnapped! How does Caroll do it? How does she create such intense drama with such intrigue? I was all in from the very start and I can't wait till the last book in the series. I think all Caroll's readers want to know which man Addy will choose, too. I know I do! Team Beau all the way here! Bravo to Robin Caroll for a job well done. Highly recommended. *My thanks to the author and publisher for a preview copy of this book. All opinions expressed here are entirely my own. Adelaide Fountaine, general manager of the Darkwater Inn, has just returned to New Orleans from a six-month sabbatical in Europe. She's rested and ready to take on the inn's busiest season: Mardi Gras. But Adelaide hardly has time to unpack before a jewel heist interrupts a visit from foreign royalty. A priceless tiara goes missing from the hotel's safe, and three people are left dead. Detective Beau Savoie discovers the robbery was an inside job, making everybody at the Darkwater Inn a suspect--including Dimitri, the son of the inn's owner and Beau's competition for Adelaide's heart. Tensions are high, and the stakes get even higher when Adelaide is abducted. Can Dimitri and Beau put aside their distrust and work together to save her? Available in digital ebook and paperback. Good question, Susan! How does she do it? :) Robin's readers know just what to expect because she always delivers! Thanks for the review! 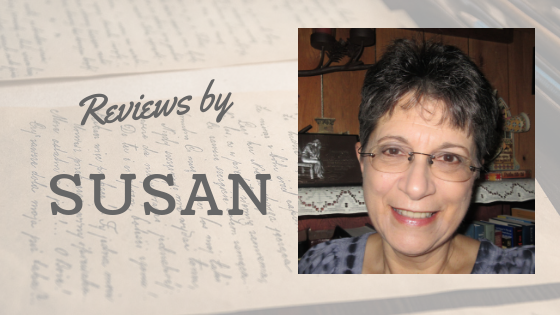 Thank you for the review, Susan! It is SO appreciated!